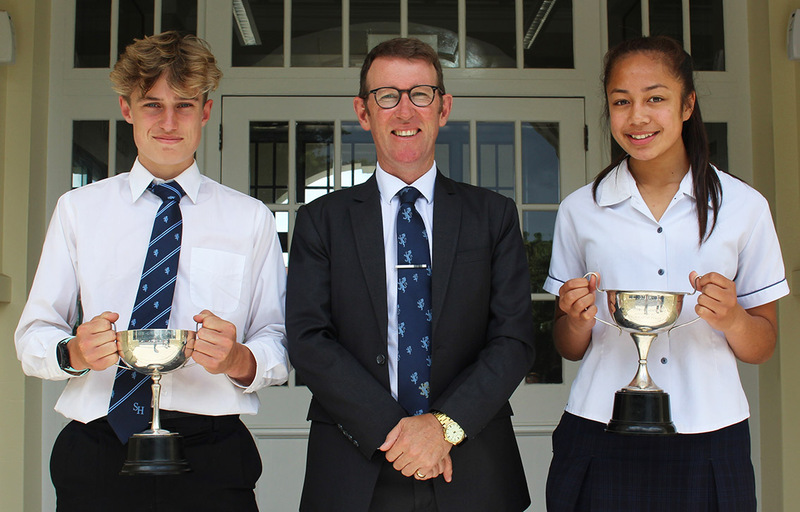 Headmaster Mr Patrick Drumm with the 2018 Junior Boy Dux Matthew Somerville and Junior Girl Dux Rosa Jack, who was also named Best All-Round Girl in Year 10. 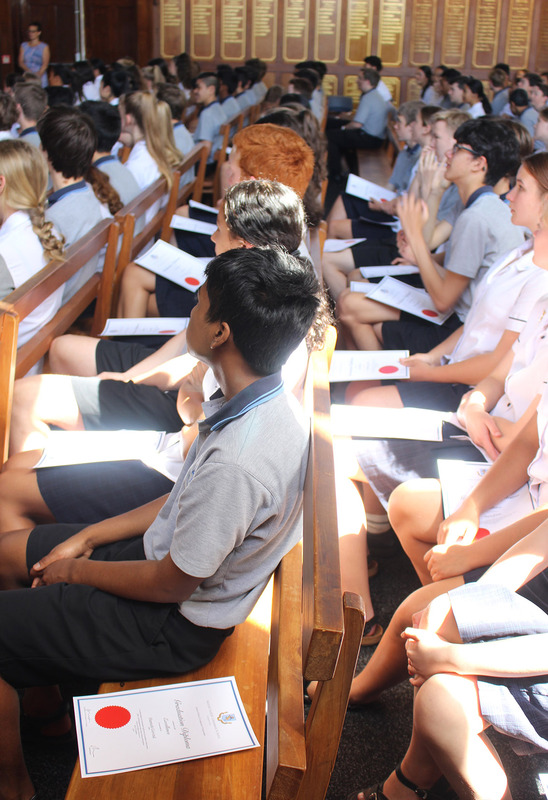 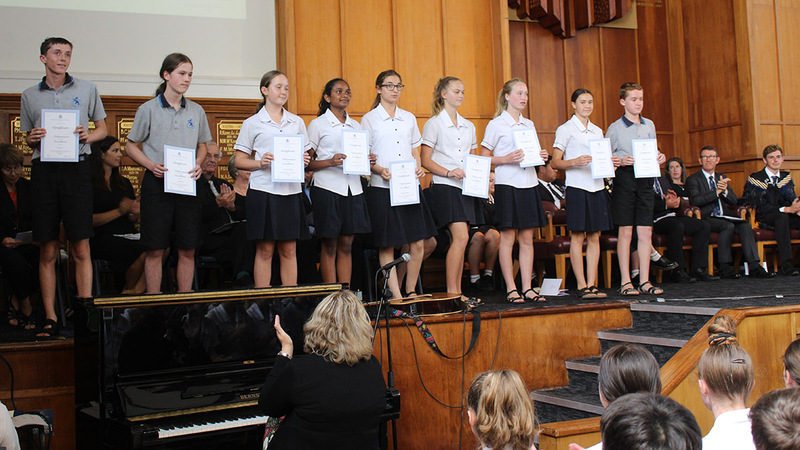 MAGS’ top Junior academic, sports and arts students for 2018 were celebrated at the Year 9 and 10 Prizegiving ceremonies on the final day of school: Thursday, 6 December. 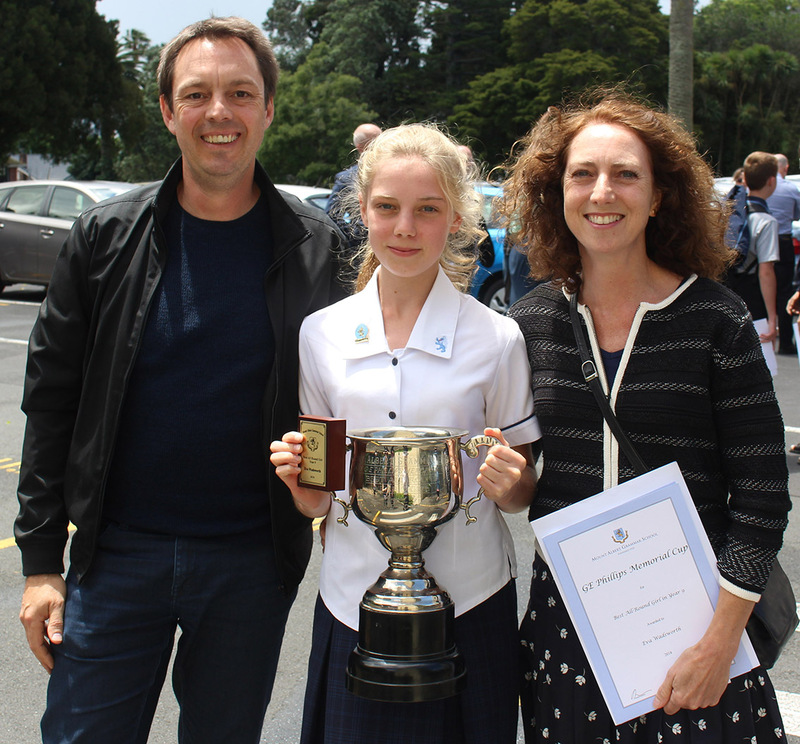 Rosa was also named the Best All-Round Girl in Year 10, while Xander Pritchard picked up the award for Best All-Round Boy in Year 10. 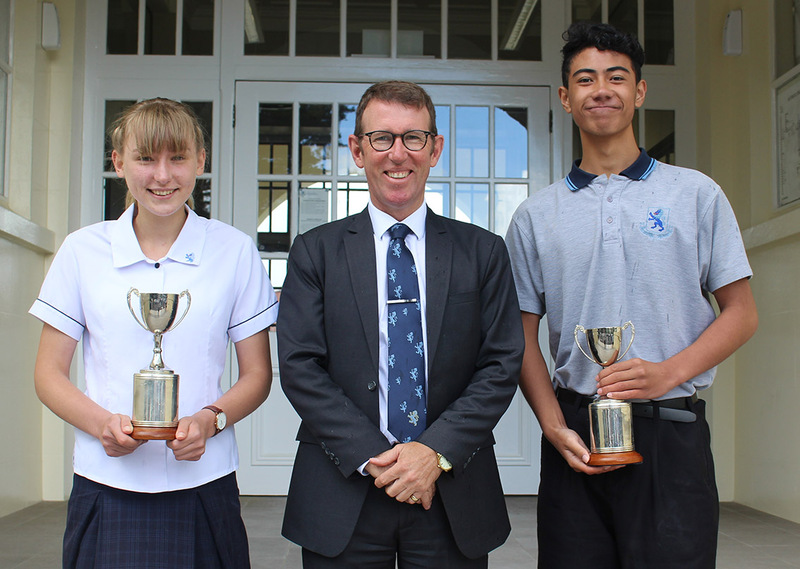 The Paul Gardner Cup for Service in the Junior School was presented to Matthew Batcheler and Shantelle Lee for their involvement in a range of activities across the school – from the Library to the Environmental Club. 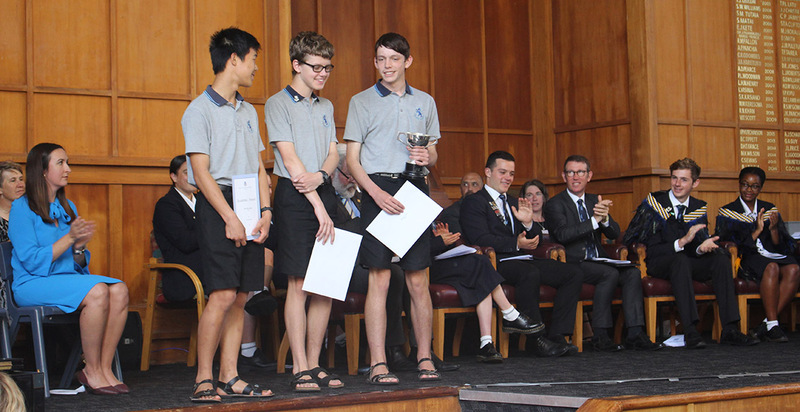 For the second year in a row, the Junior Victor Ludorum is Luke Clements for achievements in Athletics, Cross-Country, Hockey, Orienteering, Road Racing and Squash. 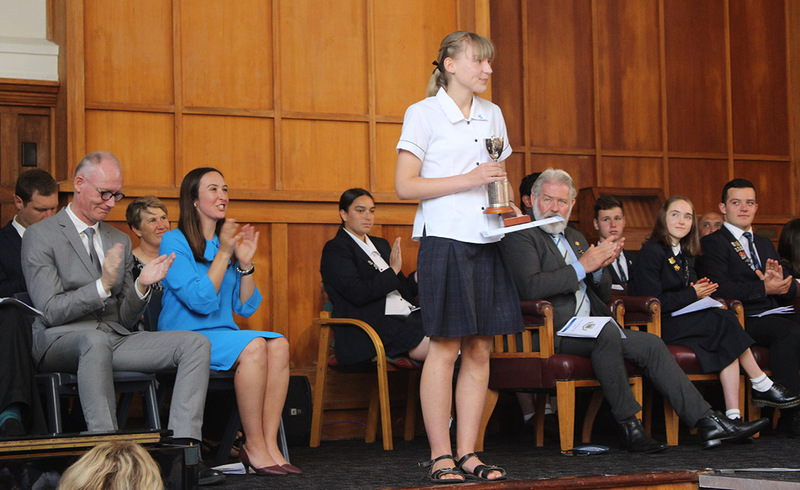 Junior Victrix Ludorum is Tiger-Lily Cocker-Lemalie for her achievements in Wrestling, Netball, Basketball and Touch Rugby. 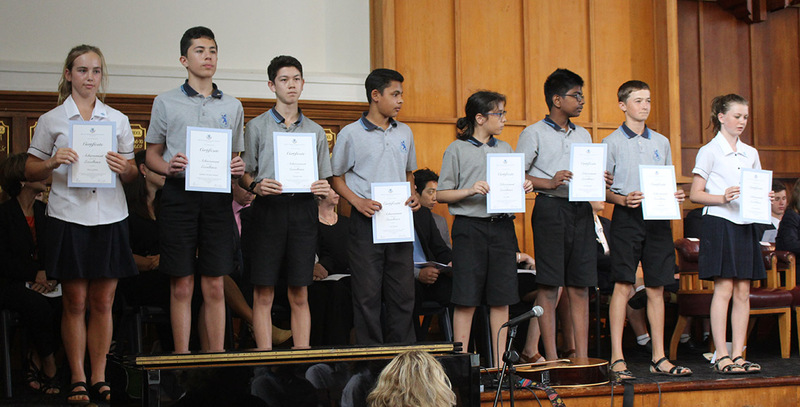 The Junior Duces Artium are Marcus Savelio and Jenna Parkin. 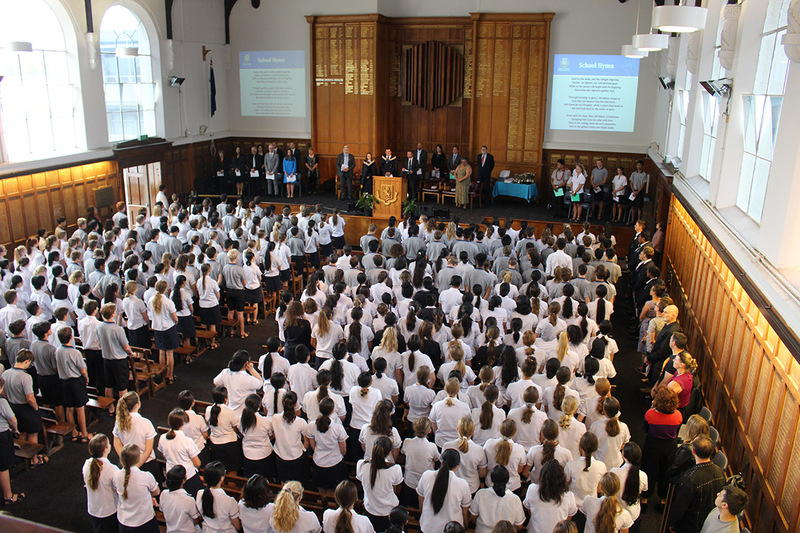 Jenna is involved in both Symphony and Concert orchestras, Choir, Musical Theatre group, Junior Dance performance group and Debating club. 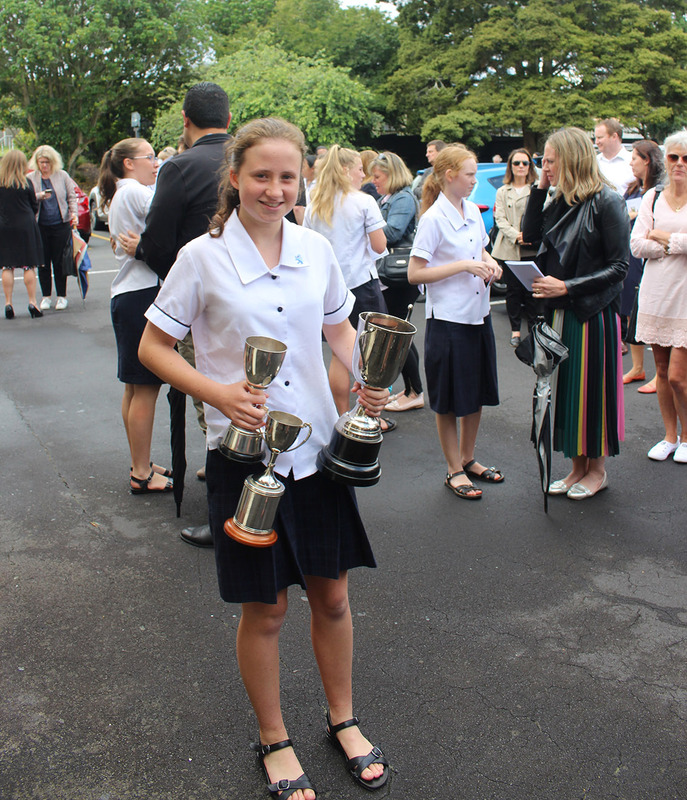 In the school production she juggled a main role, and involvement in both the dance and vocal chorus. 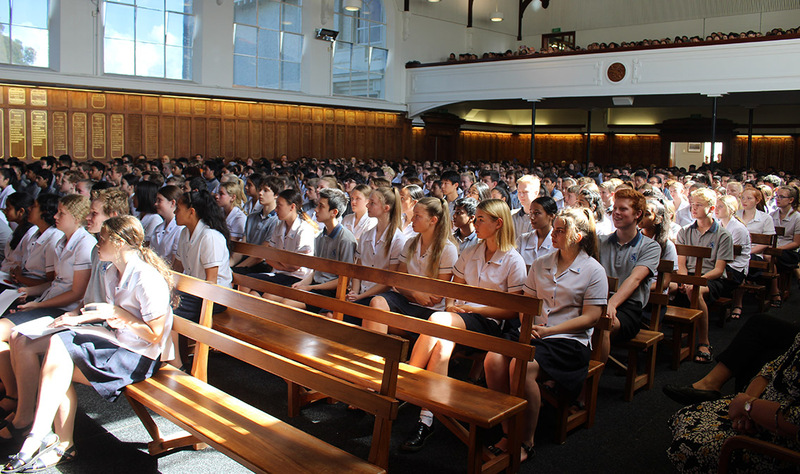 Marcus is a student of Media, Music, Dance and Drama, achieving maximum graduation points in all subjects. 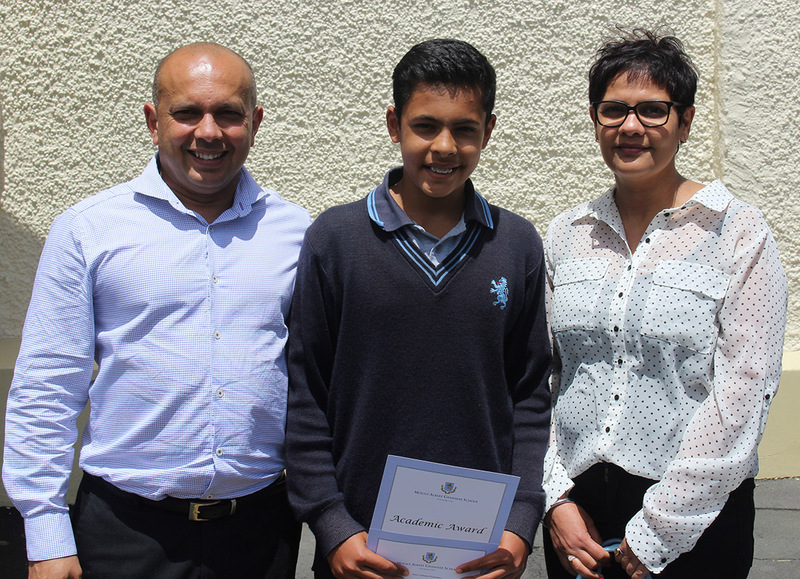 A recipient of a Junior Arts badge, he was also an outstanding performer in the MAGS Hip Hop Megacrew that won this years’ national title. 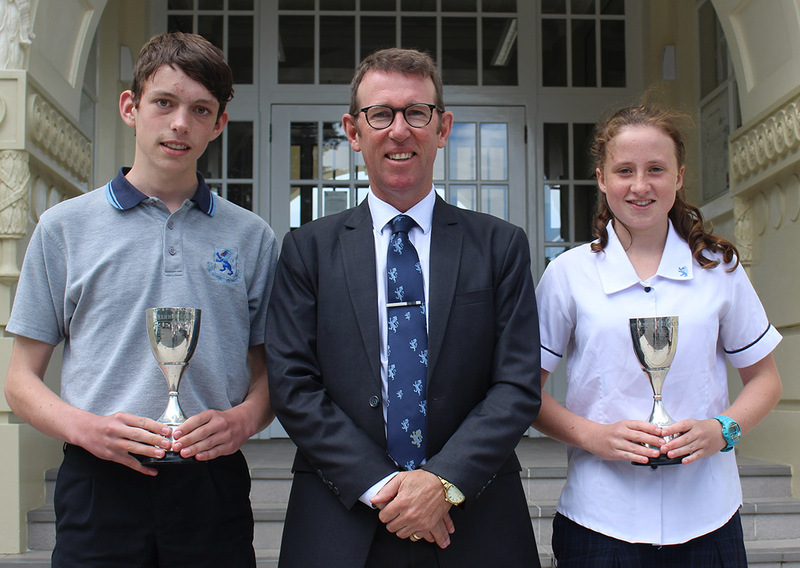 The Best All-Round Boy andGirl in Year 9 are Sam Taylor Sinclair and Eva Wadsworth. 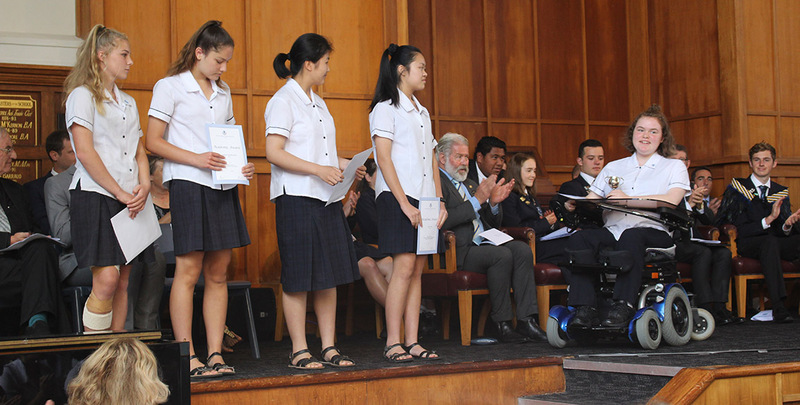 Breanna Waka and Tali Afele MC’ed the Year 10 Prizegiving, with a musical interlude from Carl Mu and Kitty Mu, performing Military March by Franz Schubert on the piano. 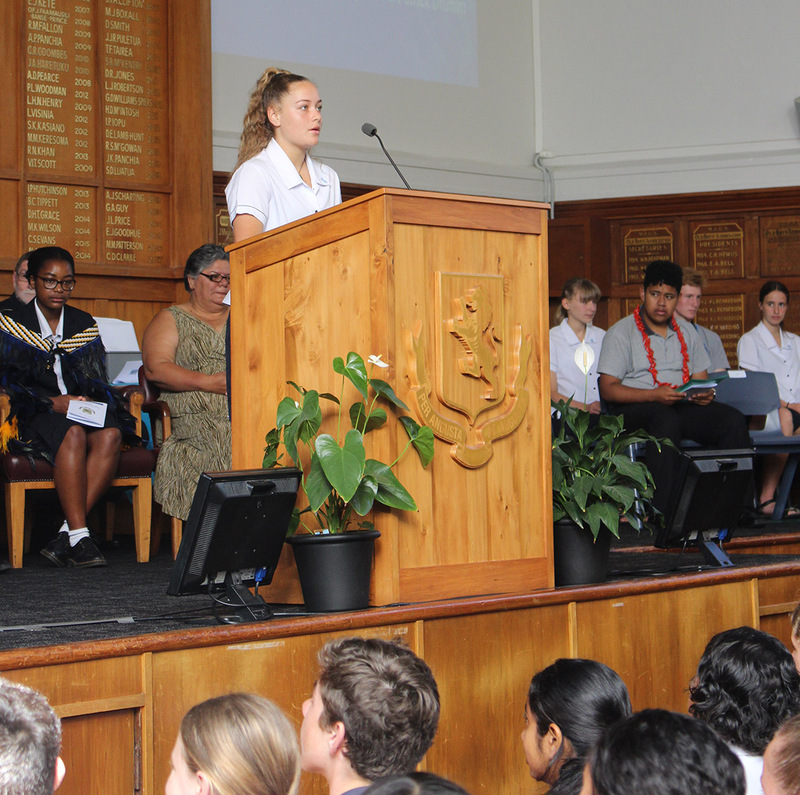 In the afternoon, Lucy Taylor and Isaiah Nin MC’ed the Year 9 Prizegiving, which featured a performance of the Bob Marley song Three Little Birds by Viliami Ropati Va’ai, who was accompanied by Feagaiafai Tupa’i on guitar. 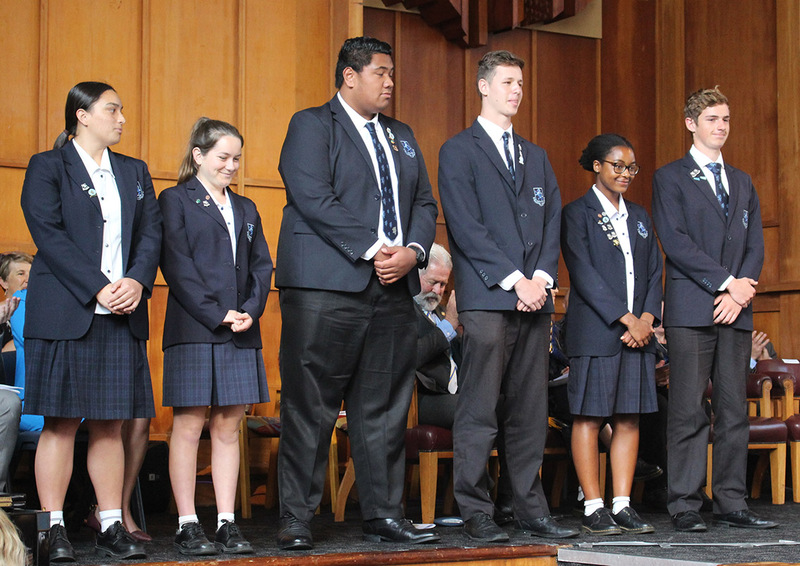 At both prizegivings, the new Prefect Executive team was introduced by Headmaster Mr Patrick Drumm. 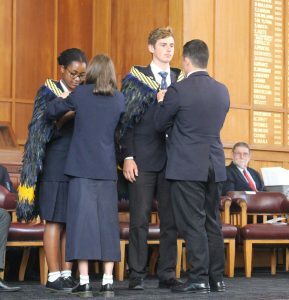 For 2019 the Head Boy is Germain Hellriegel-White and Head Girl is Takunda Muzondiwa. 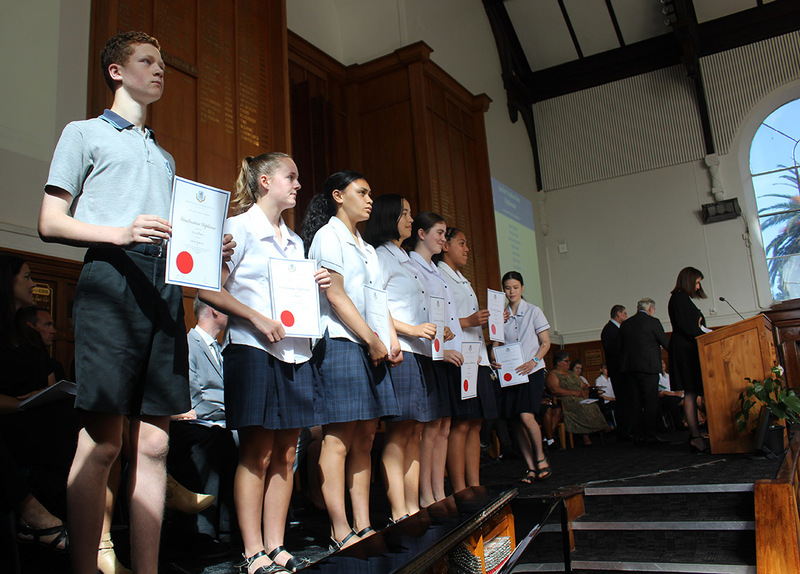 Their deputies are Oscar Graham, Darhys Simone, Alyssa Houma and India Bulman. 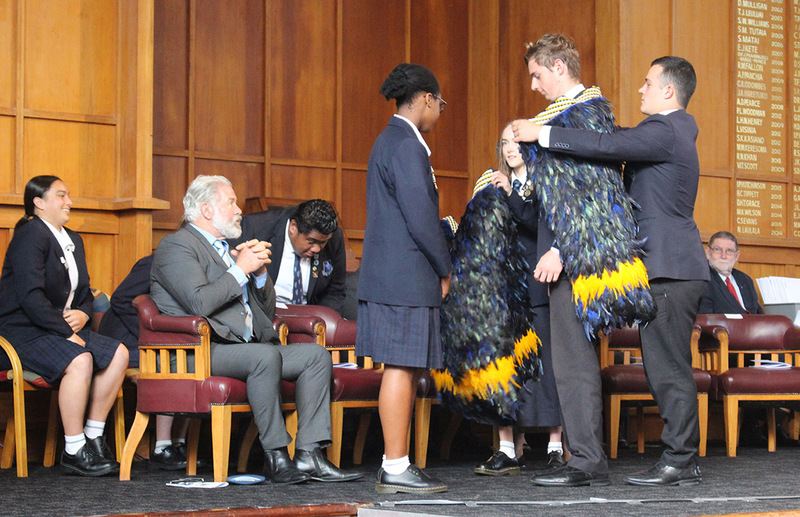 The 2018 Head Girl and Head Boy, Hannah Houghton and Isaac Munro handed over their ceremonial korowai (feathered cloaks) to their successors. 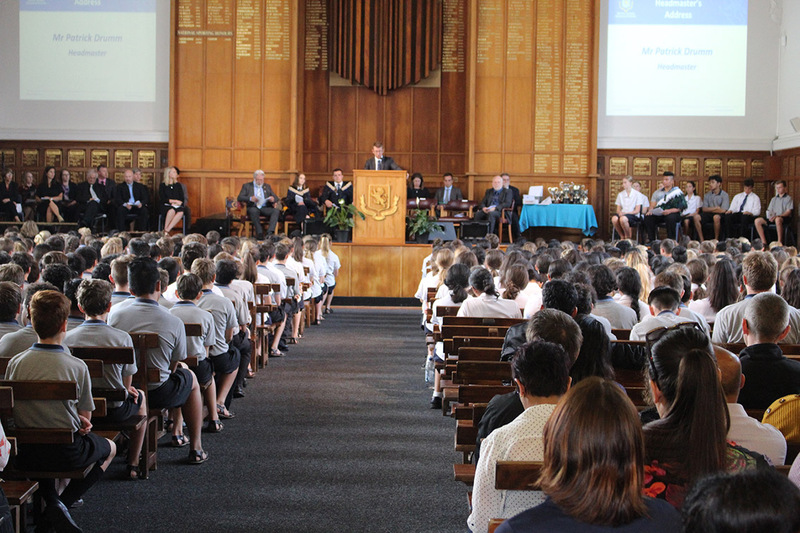 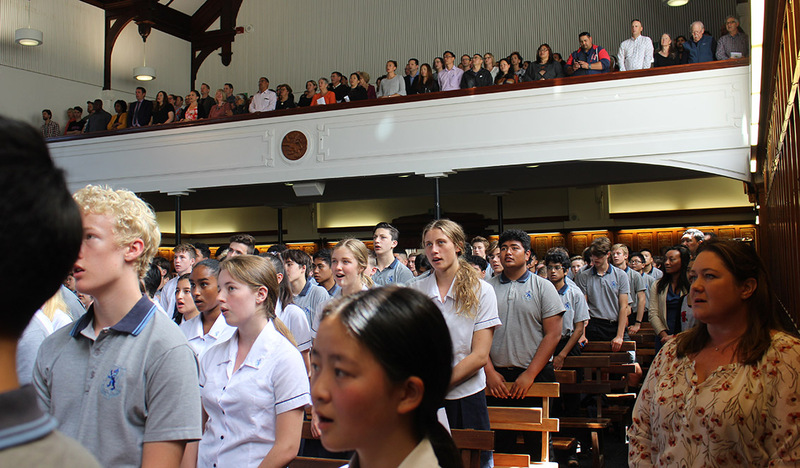 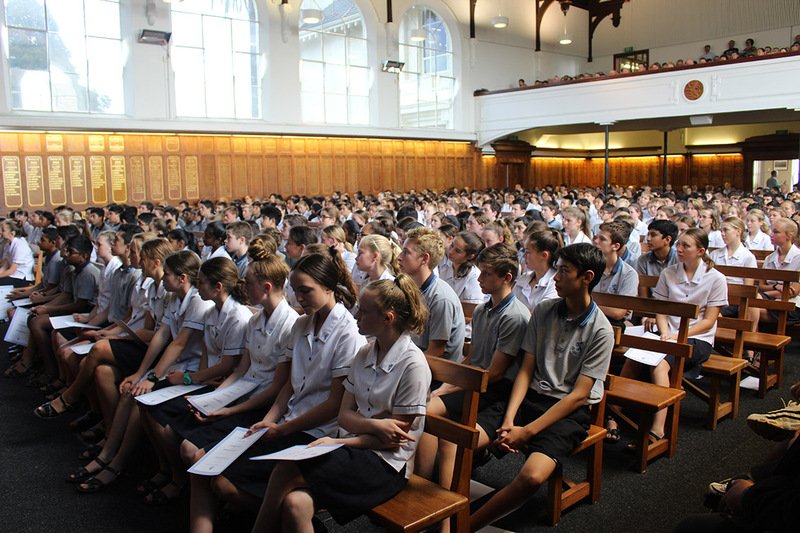 In his speech to the assemblies, Headmaster Mr Patrick Drumm stressed that academic achievement would always be the measure by which the school judged its success. 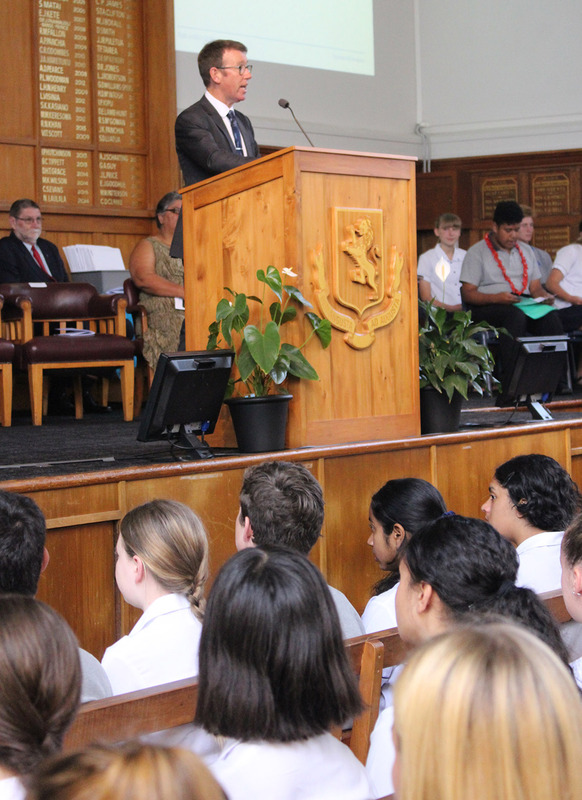 He said the ERO report this year endorsed the school’s methods, and the strategic plan also unveiled this year would ensure that the school continued to pursue excellence in academia as well as the other three of MAGS’ “Four Pillars” – the Arts, Sport and Service. 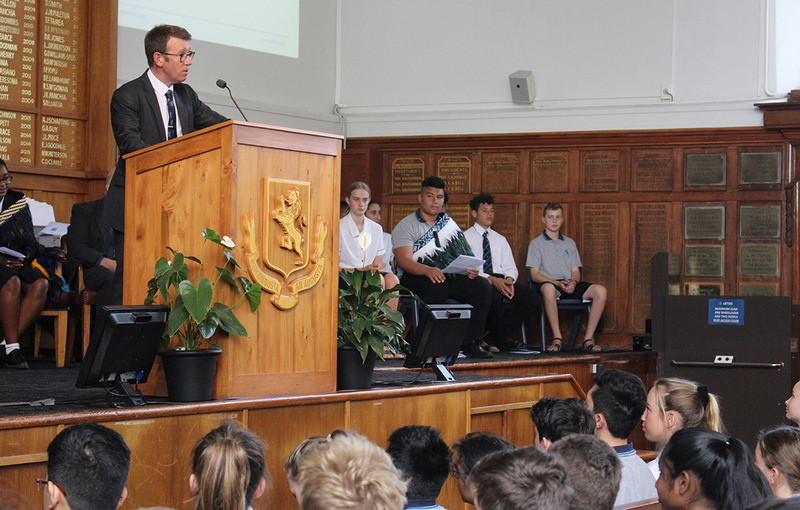 In a final message, he urged students to get off their phones, get outside and interact with their friends face to face. 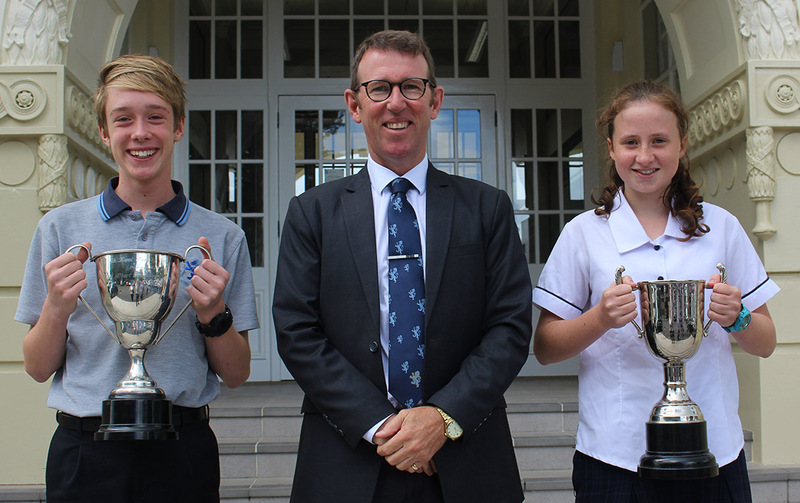 The Junior Boy Dux and Girl Dux for 2018 are Matthew Somerville and Rosa Jack. 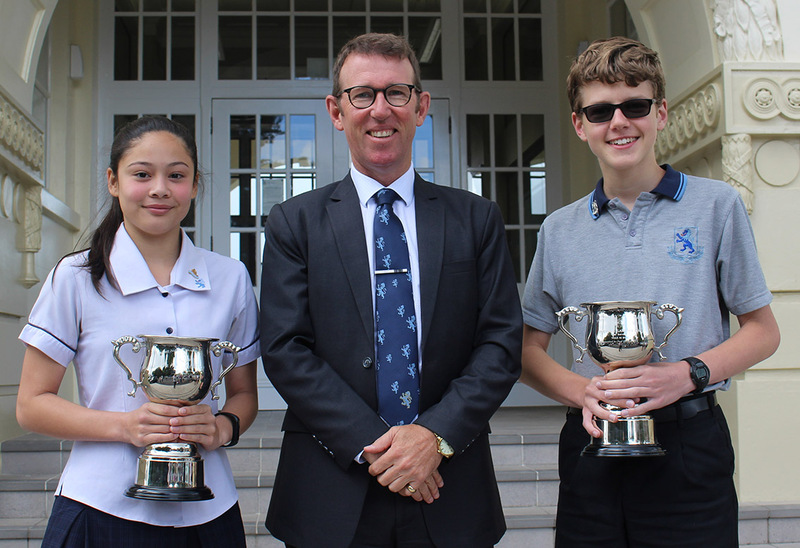 The Paul Gardner Cup for Service in the Junior School was presented to Shantelle Lee and Matthew Batcheler. 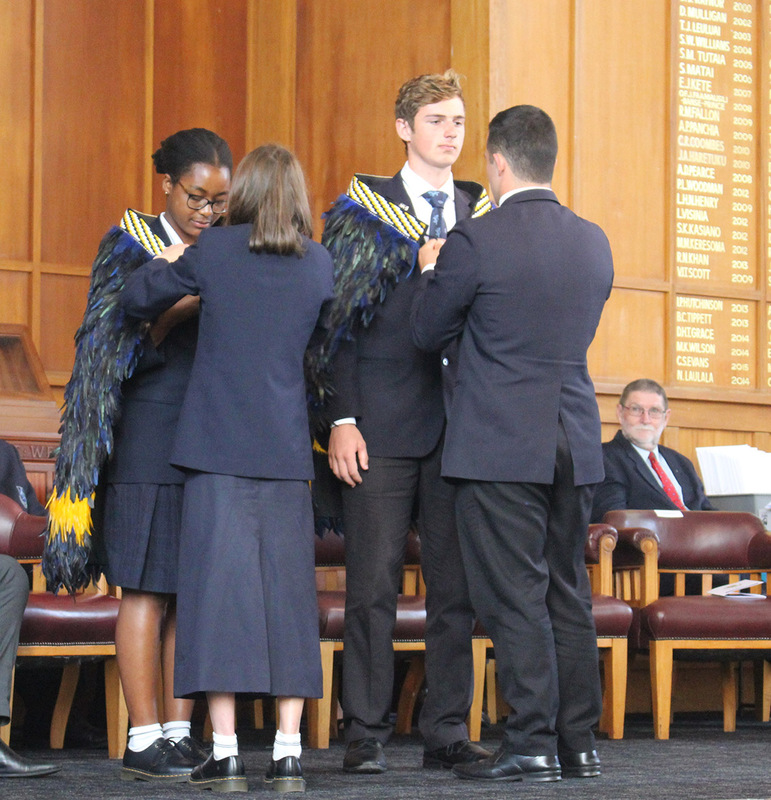 The Junior Duces Artium are Marcus Savelio and Jenna Parkin. 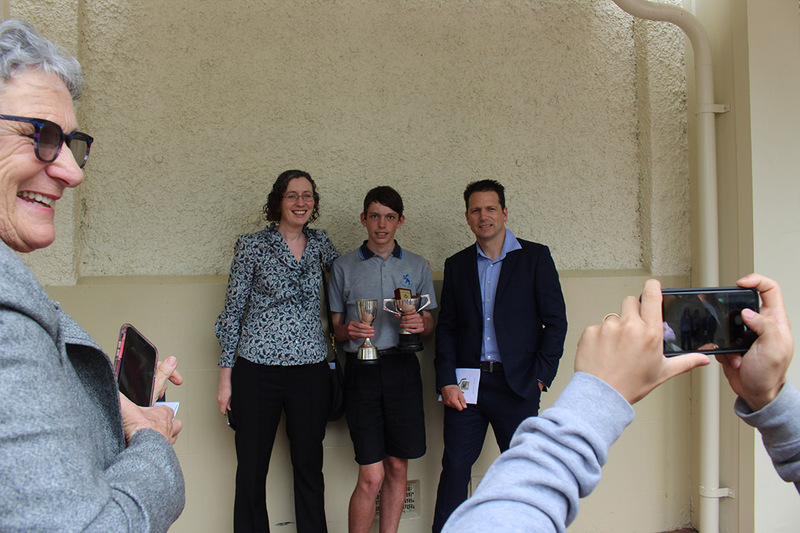 Best All-Round Boy in Year 10 Xander Pritchard and Best All-Round Girl in Year 10 Rosa Jack. 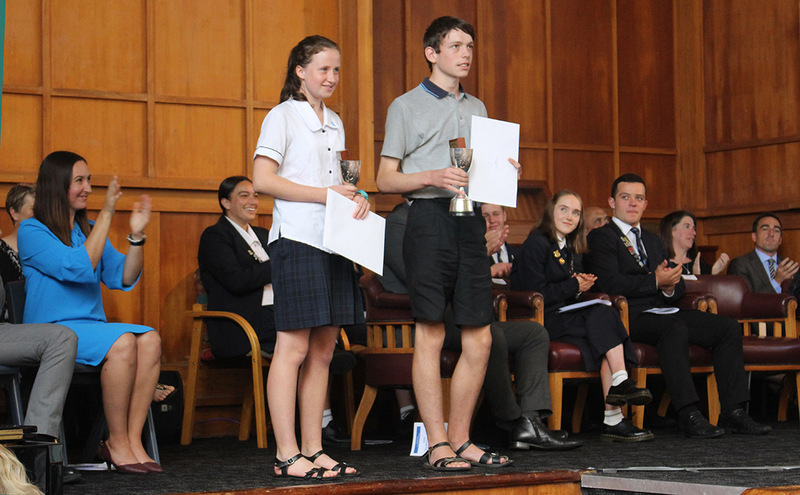 Junior Victor Ludorum Luke Clements and Junior Victrix Ludorum Tiger-Lily Cocker-Lemalie. 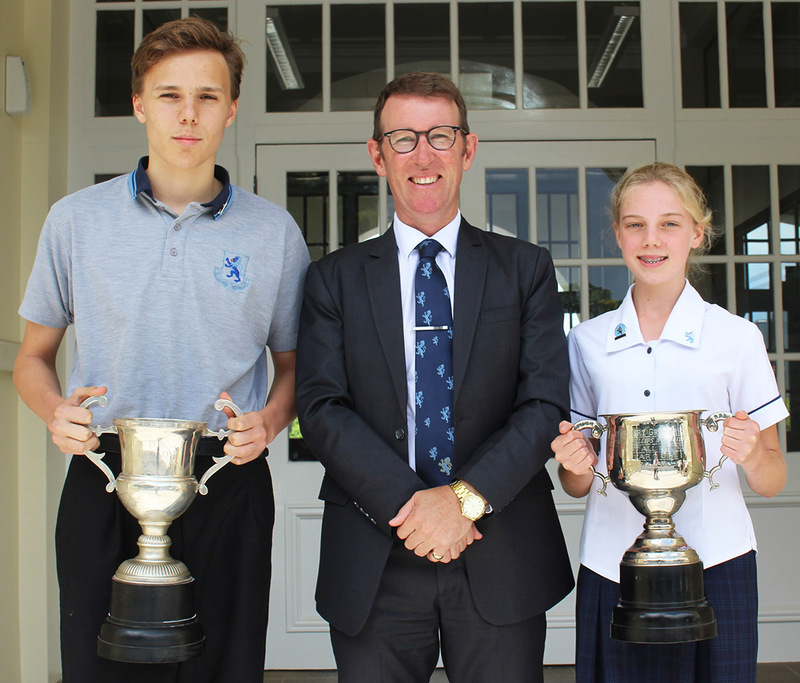 The Best All-Round Boy and Girl in Year 9 are Sam Taylor Sinclair and Eva Wadsworth. 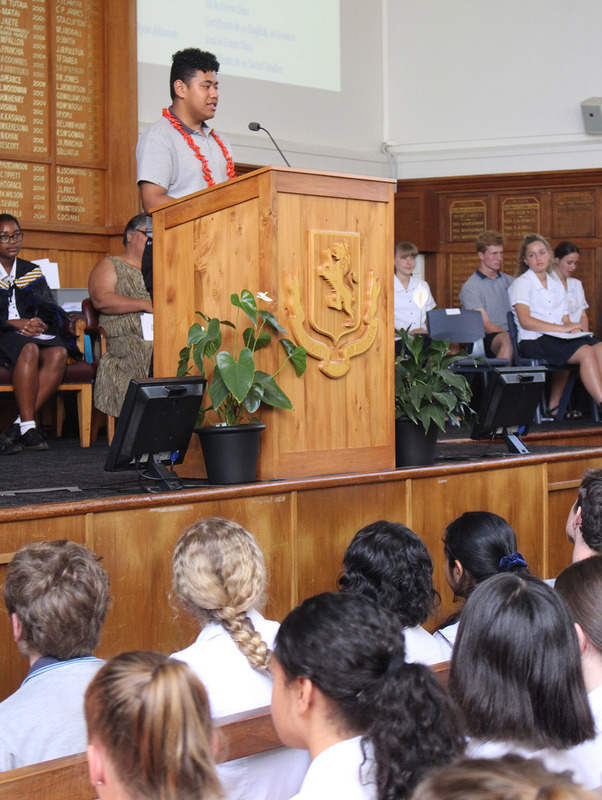 Year 10 MC Tali Afele. 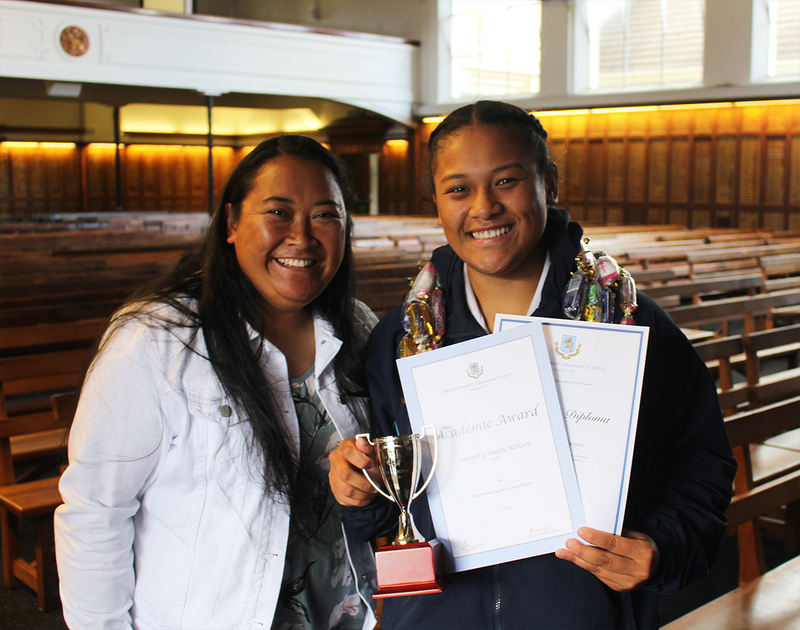 Year 10 MC Breanna Waka. 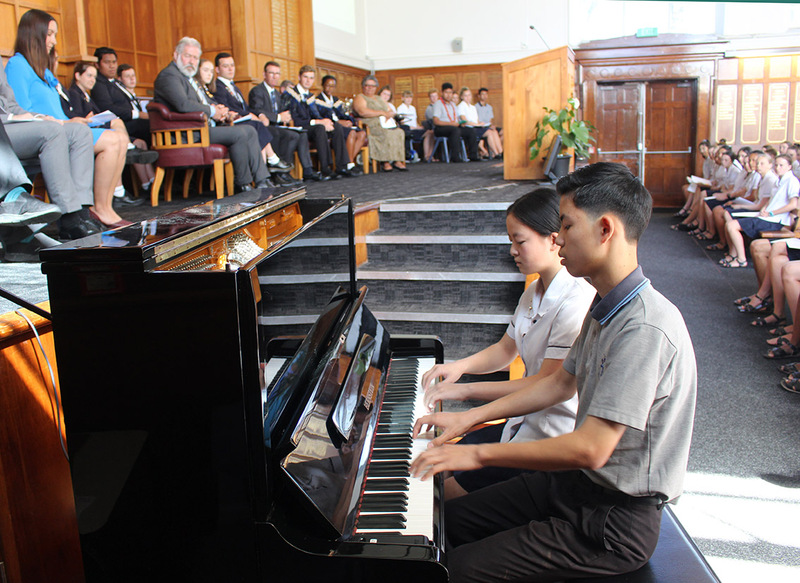 Carl Mu and Kitty Mu performing Military March by Franz Schubert on the piano. 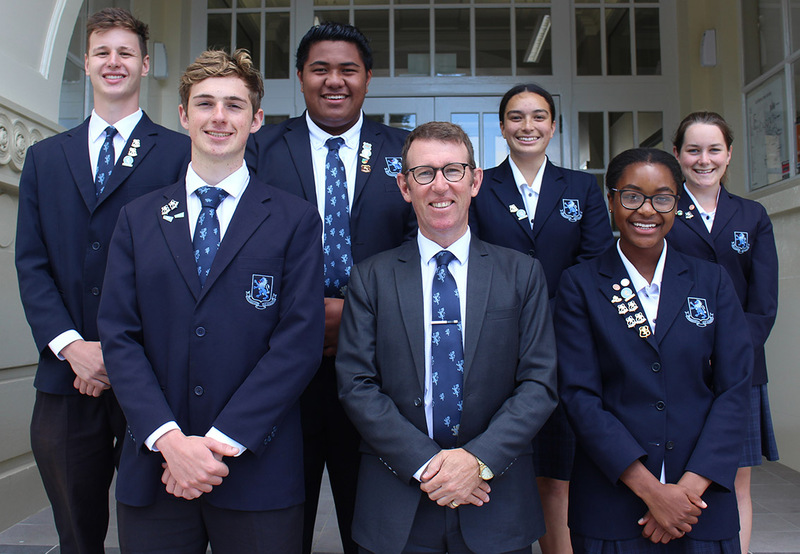 The new Prefect Executive team. 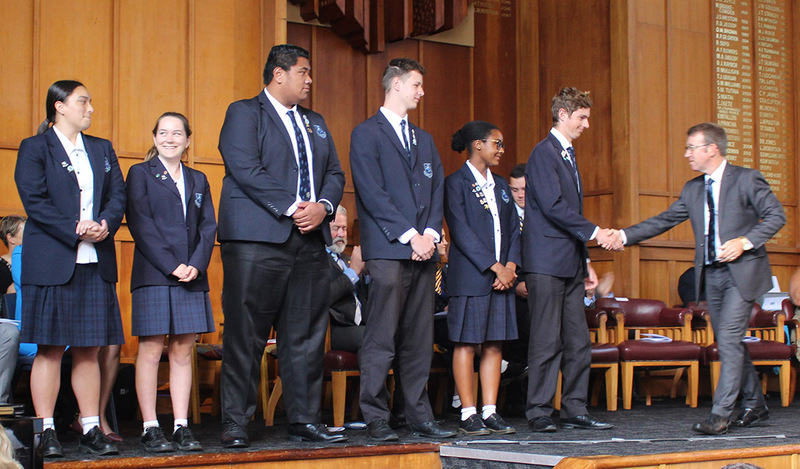 Headmaster Mr Patrick Drumm congratulates the new Prefect Executive team. 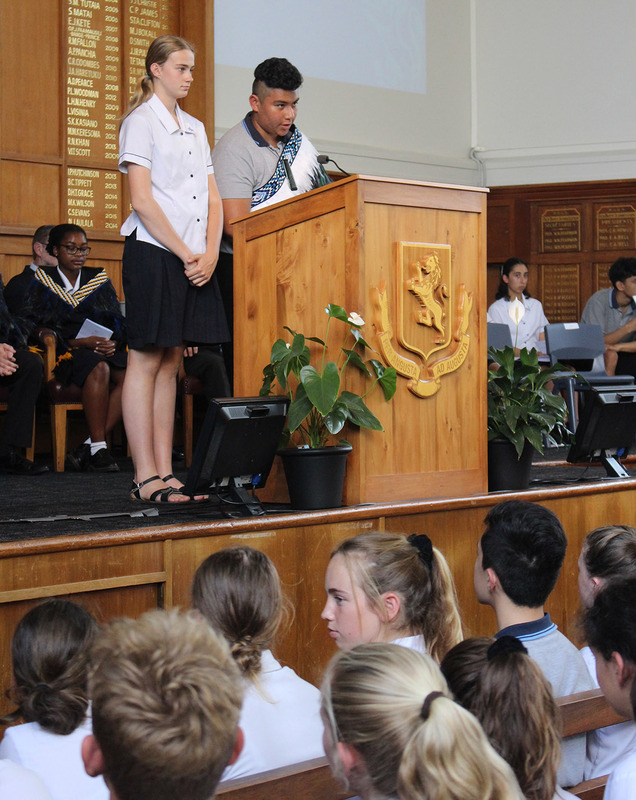 Year 9 MCs Lucy Taylor and Isaiah Nin. 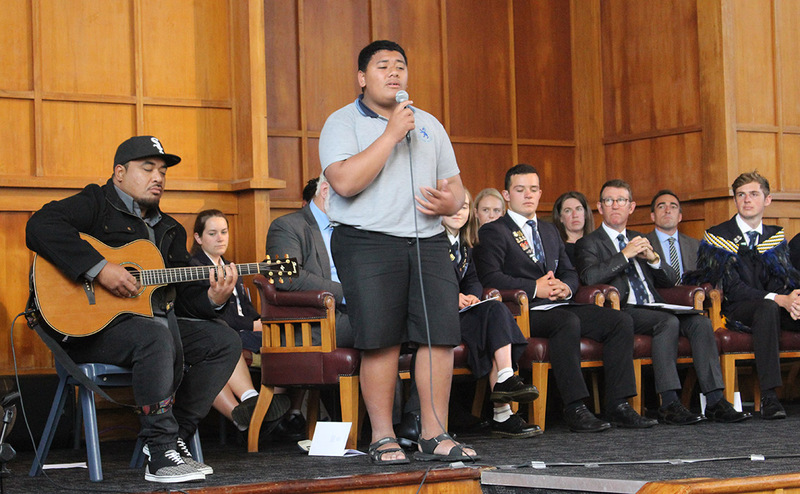 Viliami Ropati Va’ai accompanied by Feagaiafai Tupa’i on guitar.